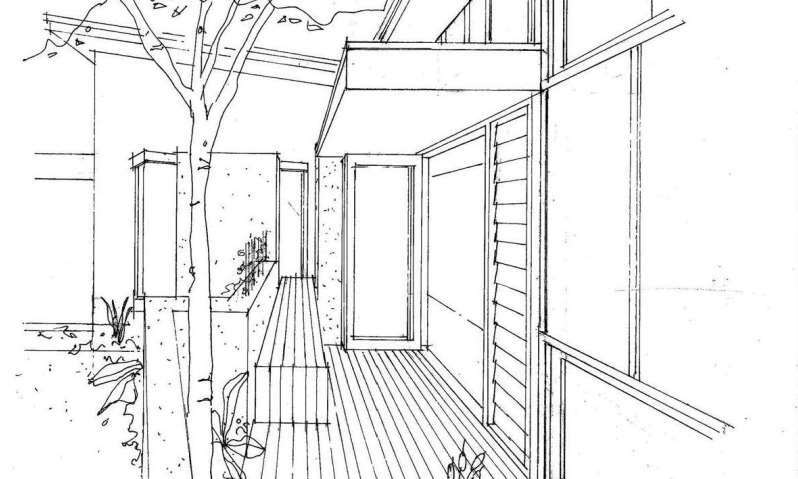 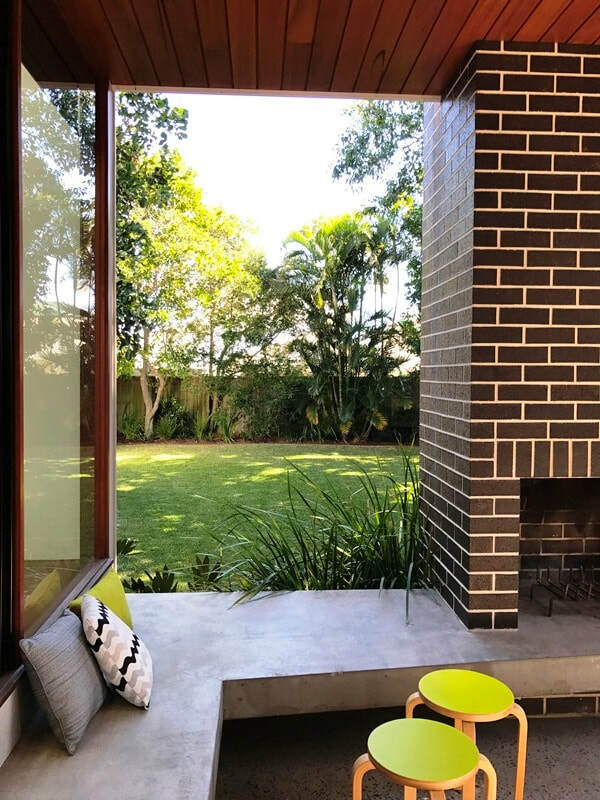 My clients sought a bedroom retreat as well as a terrace to link the living areas of the house to the pool and backyard. 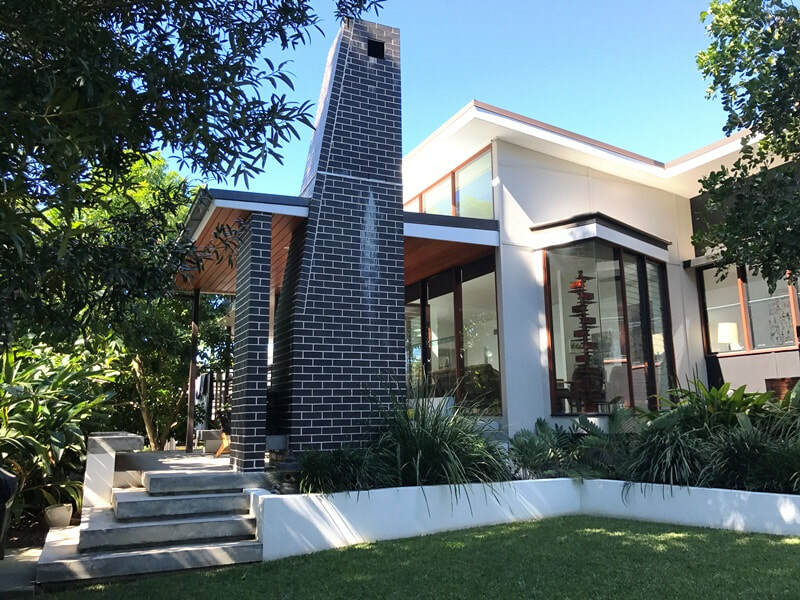 We integrated the new bedroom wing with a previous major extension (shown here) by maintaining the same roof line and using similar materials – fibre cement cladding, timber and metal roof sheeting. 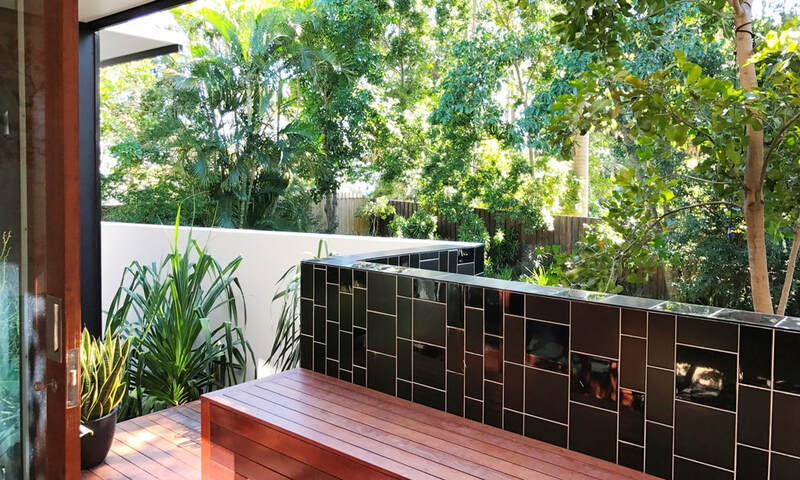 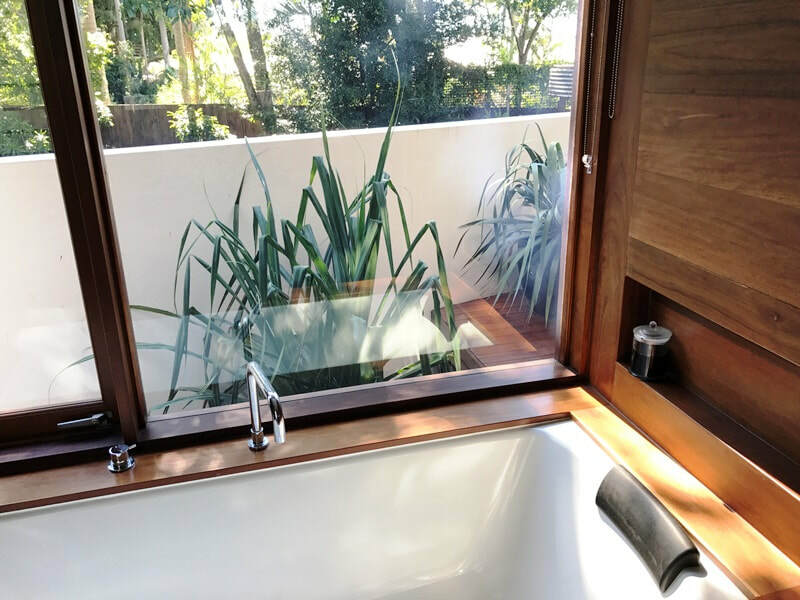 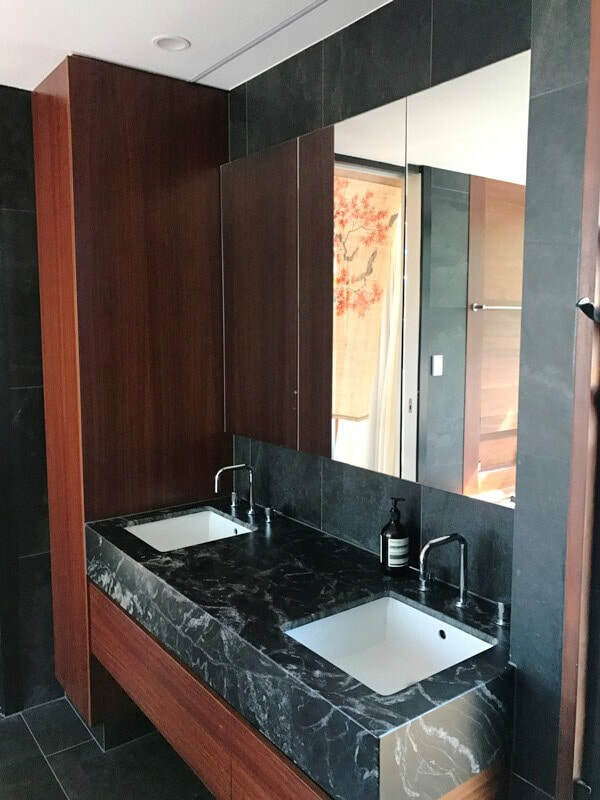 In contrast to the white and timber look of the earlier project, black and timber were combined to create an elegant bedroom and an ensuite with the feel of a zen Japanese bathhouse, with views to the garden. 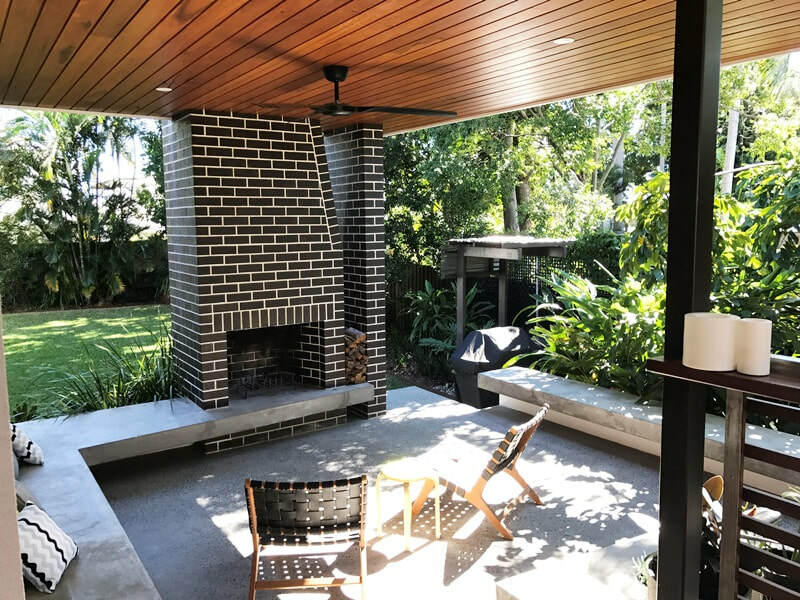 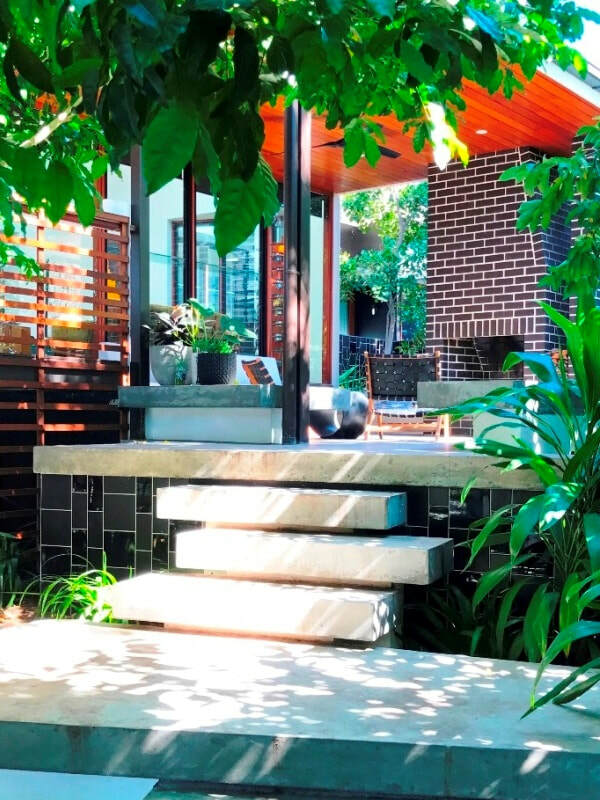 The terrace of exposed concrete and timber features a sculptural brick fireplace, allowing for outdoor living all year round.